Review Round and round we go the video format bush. First you recorded it off the telly. Then you bought it on VHS. Finally, you acquired a perfectly brilliant version on DVD. 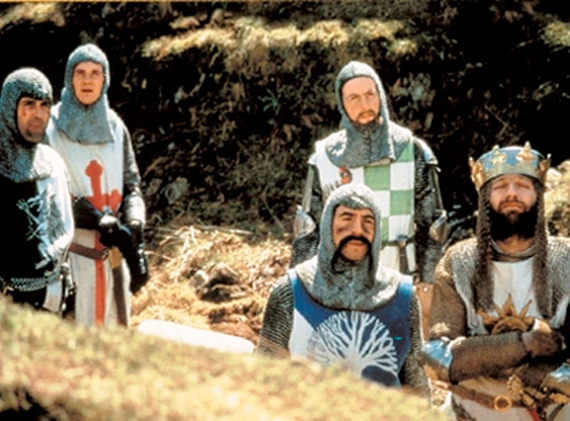 And now, finally again, Sony Pictures has found yet another way for you to part with your money for the love of Monty Python and the Holy Grail. Depending upon your age, you may not have spent your way through all the formats, but that excellent two-disc DVD release from 2002 was bought by many. So let's see what you get on Blu-ray that you don't already have in your video library. First, don't expect marvels from the additional resolution that Blu-ray affords. I saw the film in a cinema in the mid-1970s and I remember being disappointed even then at the poor visual quality. The cash-strapped Pythons must have chosen the cheapest film stock in the shop. Sure enough, Blu-ray reveals occasional glints on polished metal and I think I noticed some colours that weren't green and brown like the rest of the film. However, a hasty shoot using cheap stock during a period of relentless overcast days is never going to make for a dazzling visual result. In fact, even the rostrum animations look grainy. If the film quality wasn't bad enough, the sound is dreadful. 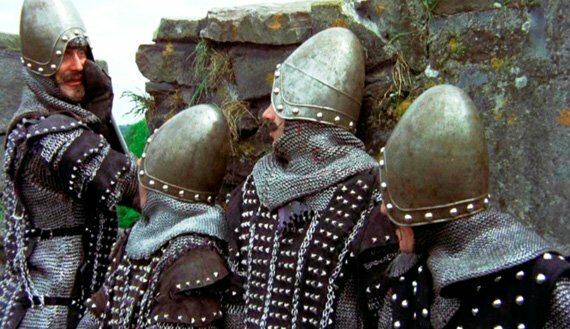 Appalling on-location audio is something that afflicted Holy Grail and Life of Brian alike, so it's no surprise that there's little that could be done to fix it 37 years later. To give Sony Pictures some credit, the faked-up stereo is passable, although you can choose to listen to the soundtrack in its original glorious mono. In all honesty, I can't say the Blu-ray offers an audio-visual experience any better than the 10-year old DVD release. So the only differentiating factor has to be the Blu-ray extras. I advise caution here because the extras on the disc do not tally with those listed by Sony Pictures in its press releases. Naturally, this Blu-ray version inherits several of the better extras from the DVD. 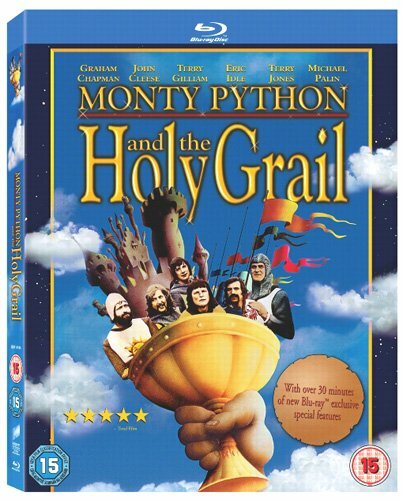 These include two separate commentaries – one by Terry Gilliam and Terry Jones, the other by John Cleese, Eric Idle and Michael Palin – plus a mini documentary in which Michael Palin and Terry Jones revisit the film locations, shot in 2000. 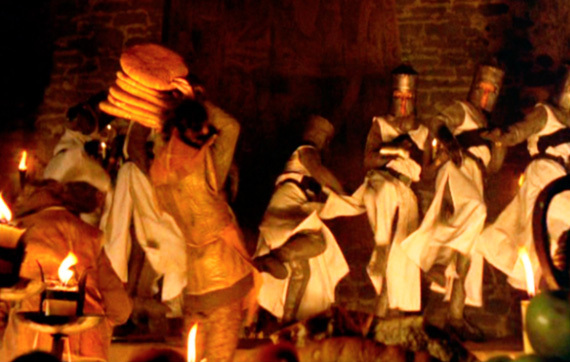 Also included are the famous Lego Knights dancing the Camelot song, two Japanese-dubbed scenes (the first castle taunting and the knights who say 'Ni! '), a BBC Film Night on-location report from 1974, subtitled singalong versions of the three main songs, the US cinema trailer and the unfunny mockumentary How to use your coconuts. Next page: Are you suggesting coconuts migrate?